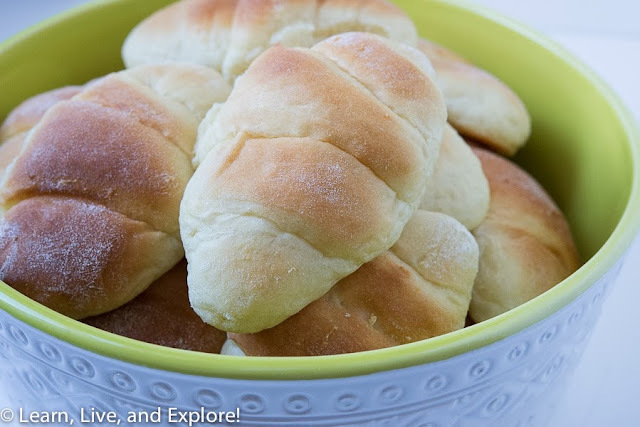 The Best Dinner Rolls Ever! ~ Learn, Live, and Explore! I look forward to eating these rolls every holiday season - starting with Thanksgiving and ending with Christmas dinner leftovers. These are overnight rolls baked from scratch, so it's a commitment. And it can be extremely frustrating when you wake up and the yeast failed to rise. Fortunately, it doesn't happen often. 7. Place dough, covered with loose plastic wrap, in the refrigerator overnight (you can keep it in the bowl, but scrape the sides and gently shape the dough into a ball at the bottom of the bowl). Overnight means a minimum of 6-8 hours, so the dough can be made very early in the morning for dinner, in theory. 6. 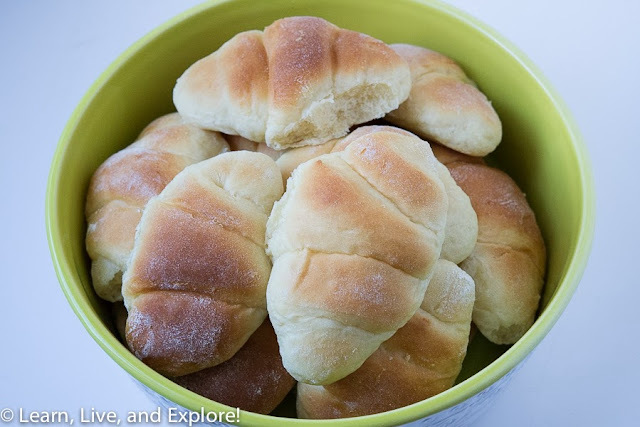 Cover the rolls with a clean towel and put in a warm place to rise for 2-3 hours. If you used quick rising yeast, check after 1 1/2 hours.